We few. We happy few. We band of brothers . . .
For he that sheds his blood with me this day, shall be my brother. Welcome. 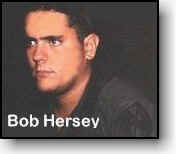 I'm Bob Hersey. 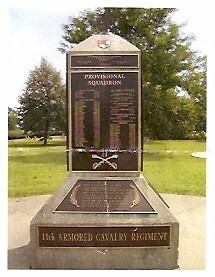 I served with K Troop, 11th Armored Cavalry Regiment from April 1968 until April 1969. I am proud of my service with the Blackhorse Regiment in Vietnam and of the men whom I served with. This site is dedicated to them - those who came home and those who did not. While in K Troop, I photographed over 500 subjects chronicling the lives of the Blackhorse Troopers - their courage, their sacrifices, their triumphs and their heartaches. The Photo Gallery is a tribute to them. If you explore nothing else on this website, please at least visit the Photo Gallery and see why the 11th Armored Cavalry Regiment was the finest fighting force of men in Vietnam. In addition to taking over 500 photographs I sent home to my parents 92 letters all of which are reprinted on this site HERE. Like some of my buddies we had audio tape recorders. I sent 22 tapes home to my folks. Excerpt, including firefights, may be found here . What else will you find here? Begin at Base Camp. This is your base of operations. At Base Camp you will find the "meat and potatoes" of K Troop (sorry, I was a cook). In the Orderly Room you will find my 201 File, letters, DD Form 214, the daily report and more. Hungry? Stop by the Mess Hall. The coffee's on and so is a little lighthearted humor. 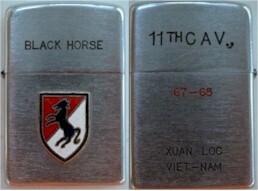 Along your journey, you will find an informative history of the "Blackhorse Regiment" - the 11th Armored Cavalry. 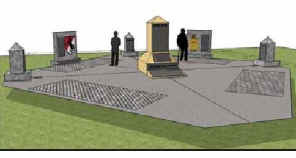 In addition, you will find a tribute to K Troop's fallen heroes on the Taps page. See which Hollywood celebrity has joined the growing list of contributors on Contributor's Corner. Stop by the Motor Pool and see why the VC called the M113A - Armored Cavalry Assault Vehicle (ACAV) the - Green Dragon and don't forget to visit the photo gallery. The pictures tell the whole story of K Troop in Vietnam. Feel like chatting with an old friend or like to make new friends, enter K Troop's Chat Room. The Guest Book has migrated to Facebook here. On April 25, 1971 SP5 Edward Mearl Ball Of K Troop Was Killed In Action. The Honor Roll is dedicated to the 62 brave men of K Troop who were killed in Vietnam. We honor their memory. Their names are inscribed here that they might never be forgotten. 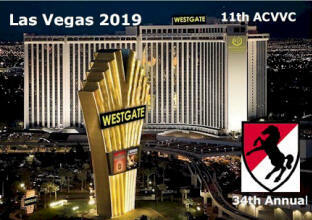 The Westgate Hotel, Las Vegas, Nevada is the site of the 34th Annual Reunion of the 11th ACVVC. For hotel reservations go here. For registration and schedule, go here. 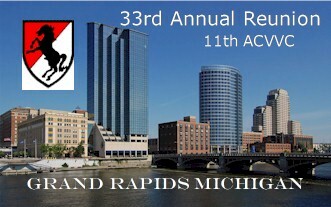 The members of the 11th ACVVC, family and friends gathered in Grand Rapids, MI for the 33rd Annual Reunion on September 5, 2018. By all accounts, it was another huge success. 67 veterans attending their first reunion - Welcome Home! 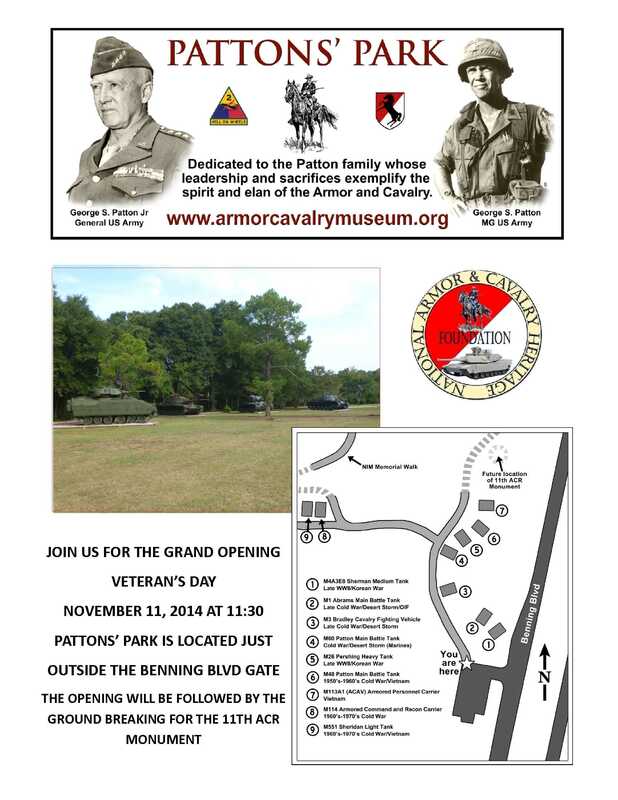 A ground breaking ceremony for the new 11th Cavalry Memorial took place on Veterans Day, Tuesday, November 11, 2014 at 11:30 am at the site of the future National Armor and Cavalry Museum in Columbus, GA. Construction for the new memorial began in early 2015 and was dedication at the 30th annual reunion of the 11th ACVVC. The ground breaking was held in conjunction with the official dedication of Pattons' Park (see pages one and two of the flyer). To see the video that describe the plans, go here. The park is a 750 foot walking trail featuring nine combat vehicle displays tracing the development of armor from WW II to the present and a parking area for 30 vehicles. It is located on Fort Benning Boulevard just outside the gate at Fort Benning, GA and adjacent to the National Infantry Museum. 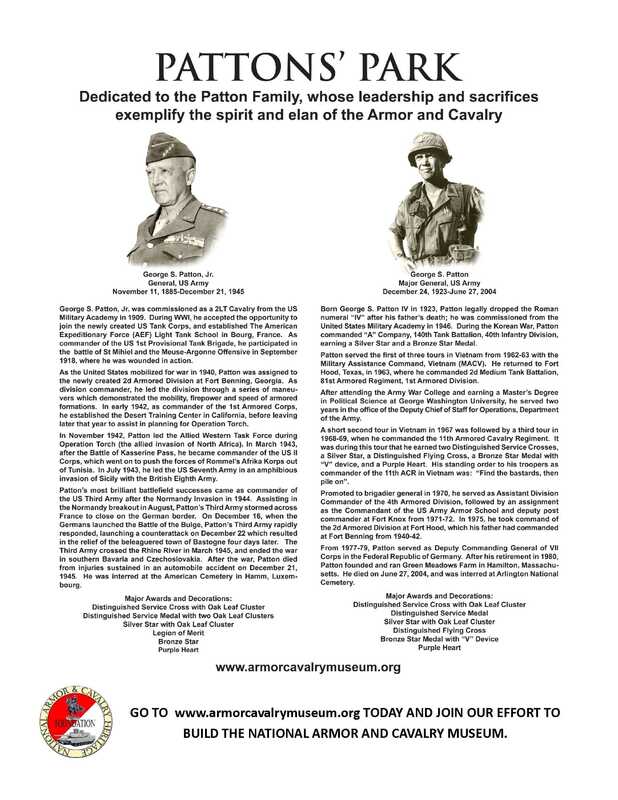 Please join us on Veterans Day for these two important events. To follow this remarkable project's progress, Go Here. 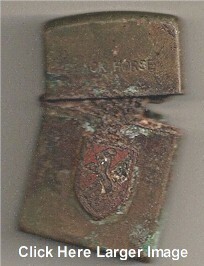 After returning from an assignment in Italy, Army Specialist Rolf Hill found an unusual item he didn't expect to find, a nearly new Blackhorse lighter. Rolf and his wife, Jan kept the lighter all these years with the hope that it might find its way back to its owner. They sent me the lighter for safekeeping in K Troop's artifacts collection where it will be shared with our Blackhorse family at our annual reunions. Rolf writes, "I was stationed in Italy ('70-'71). . . the only thing we can think of was that the lighter was packed (by mistake) in my household goods when I returned to Maryland. (It might have fallen out of someone's pocket into my stuff; we don't know). Another possibility Rolf considers is that it could have belonged to the "Colonel" who lived in the same apartment building as Rolf. Thank you Rolf and Jan for caring for this important piece of our Blackhorse history all these years and for sending it "home". Congratulations to our Blackhorse brothers at A Troop,11th ACR, winners of the first Presidential Unit Citation awarded by the Obama administration. 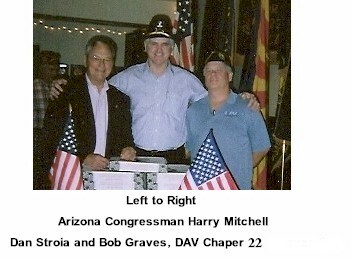 Dan Stroia began a pilot program over 3 years ago at the VA hospital in Phoenix, Arizona. The program provides pizza and soda pop to the veteran patients at the Phoenix hospital. Dan would like to take his program nation wide and invites all members of the 11th Cavalry's Veteran Troopers of Vietnam and Cambodia to join him in providing in their area VA hospitalized veterans with pizza & soda pop. If you would like to share in this very worthwhile project and put tons of smiles on our fellow veteran patients faces then contact Dan and he will give you all the details that you will need to begin a Thunder Run Pizza Run at your area VA hospital. Dan says that the only cost to you would be your time. Funds for the program may be provided by veterans organizations such as the DAV, VFW, American Legion and others. For additional information visit here and look for entries 474 through 478. 38 Years in the surf. 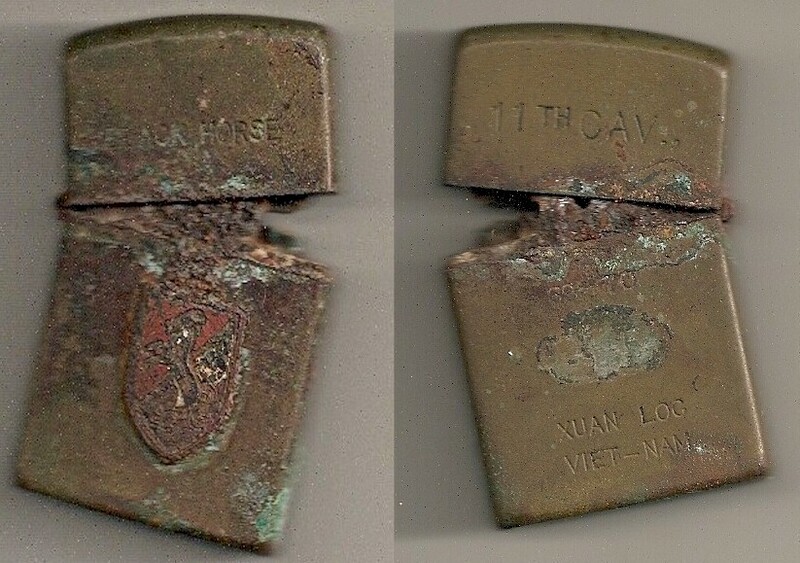 Keiran Bailey of Victoria, Australia found this remarkably preserved lighter clearly marked Black Horse with our distinctive Blackhorse patch on the face and on the back, 11th CAV, Xuan Loc, Vietnam with the date, 1969-1970. Keiran found it during the Australian summer of 1991-'92 while snorkeling in a place called Congwong Bay on the northern corner on the march larger Botany Bay, some 23 Kms south of Sydney, and sent the lighter to me to preserve and to share it with our Blackhorse brothers. Bill Lewellen, of K Troop, is bring this historic artifact to the 23rd Annual Reunion in Chicago of the 11th ACVVC for everyone to see and marvel over. Keiran writes that while snorkeling, he was looking for some shells, rocks or sponge coral for his marine aquarium. He says that while swimming along he noticed a metallic glint about 15 meters from the shore. Upon investigation he notice the lighter wedged between the sand and some pebbles in a crevasse about 15 feet deep with only the shinier base of the light showing in the light of day. He recognized it immediately as a Zippo lighter not unlike the one he himself owned. The lighter sat in his undersea treasure collection until a year ago when he examine the inscriptions, did a web search and sent in on to us here at Ktroop.com. Inscribed on the bottom of the light are the words, "New Oriental", presumably the manufacturer. The lighter has no personal inscription so we can only wonder who might have lost it. In all likelihood it was lost by a Blackhorse trooper while on R&R (rest & relaxation) in Sydney. If it did wash from the shores of Vietnam all the way to Australia that would be an extraordinary journey for this lighter to take, but I wonder? Mr. Bailey writes in the letter that he enclosed with the lighter, "I am very pleased and it makes me content to know that this lighter is finally in its rightful place among its original owners. I hope and pray it conjures up some good memories for your Blackhorse buddies. I'm sure that if this lighter could talk it would disclose a vast amount of incredible stories to share with us all". 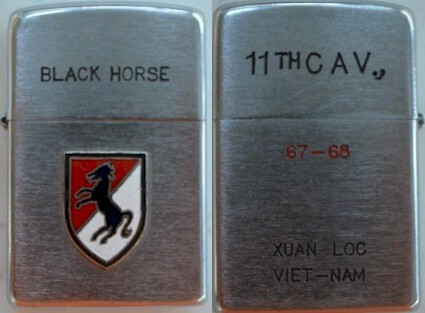 I thank Mr. Bailey for sending the lighter along to us, at his own expense, and after having done some creative internet investigative work in locating us hear at K Troop, 11th ACR, Vietnam at Ktroop.com. 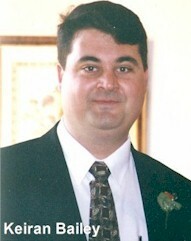 Sadly, in March of 2011, Keiran was struck by a motorist and killed while riding his bicycle. Your place in history at K Troop's - Contributor's Corner. See who has contributed their photos, stories, personal letters and more. Who knows, you might see yourself in your buddy's photo. Do you have some of your own that you would like to share? Send them along and I'll include them. For more details, visit your corner of K Troop - Contributor's Corner. Your newest contributor - Errol Brumm served as K Troop's maintenance sergeant in 1967-'68. I, like many of my buddies, sent home audio tapes to loved ones. Some of us sent reel to reel and others sent cassette tapes. I recorded mine on a Sony, portable desktop cassette tape recorder. The recordings captured my impressions of the war and my service with K Troop. Not only do they convey personal messages, exchanged with my mother and father, they also contain radio transmissions, firefights, TV broadcasts and sounds of Vietnam. I've chosen what I consider to be the best of the 22 tapes and placed them here. A fraction of the total are available now. New excerpts are added each week. We, combat veterans of the 11th Armored Cavalry Regiment (Blackhorse), fought for the United States of America in Vietnam and Cambodia. During this war against communist aggression, our nation was bitterly divided and many American citizens rose in protest against our involvement. Members of our armed forces were the objects of disdain and ridicule. We returned home to a national landscape of public opinion and political division unchanged until the morning of September 11, 2001. Read the entire Declaration HERE. See what Military.com is saying about Bob Hersey and K Troop in an article called, "Cooking For K Troop - My Life with the 11th Armored Cavalry Regiment in Vietnam". Visit Military.com today. Yours truly is making a splash at Seabeecook.com in a featured article on the Cooks & Bakers page titled A Cook with the Blackhorse in Vietnam. Visit Seabeecook.com today and discover more about US Military - Cooks and Bakers.